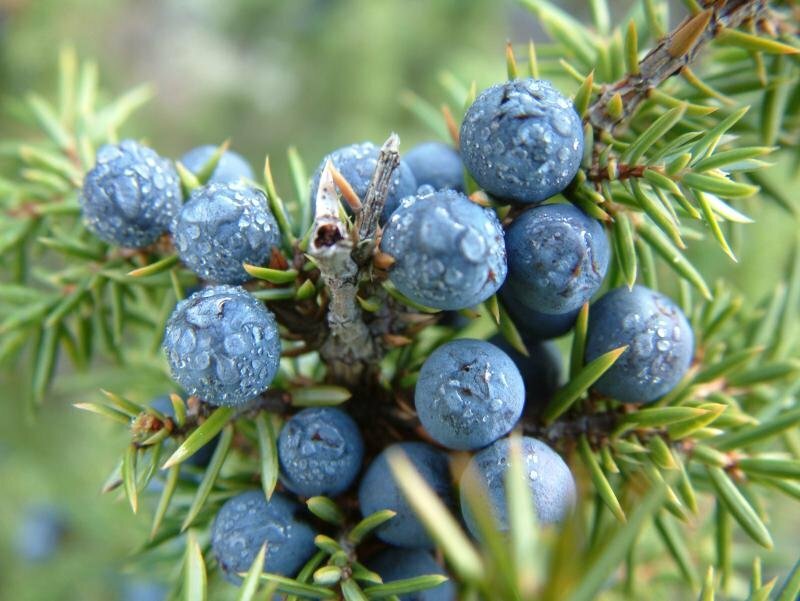 Juniper Berries - Juniperus communis. 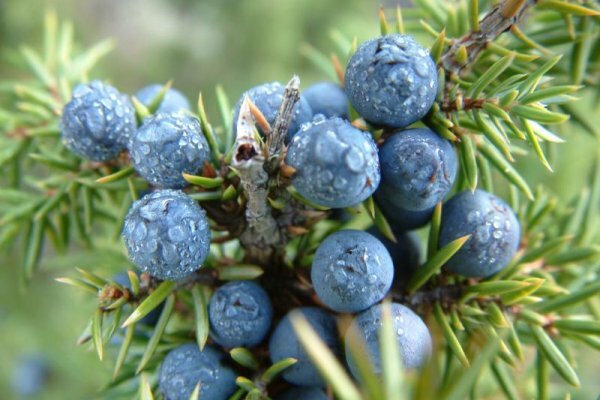 Juniper Berries are spicy, sweet, with a piney aroma. They are delicious in stews and soups and with meats (especially wild game). They also give gin its distinctive flavor and are a common flavor ingredient in bitters.